How to Start Juicing: Get ready for health and hotness! How to start juicing. Here are the need to know steps before firing up your new machine. Okay, so you’ve done your homework. You feel like you really know the score after reading all those articles on juicing. Now, you have a much better understanding of juicing and its benefits and how to start juicing. Among other things, you’ve learned that juicing releases all those wonderful nutrients that Mother Nature has locked into fruits and veggies. After you finally finished all that research, you made a mental commitment to start juicing. Your reading taught you a lot, but now that you’ve decided to actually start, you realize that you’re still missing some critical information. Like … how to start juicing. That’s why you need to read at least one more article (this one) even if you already understand the benefits of juicing. Let’s break down the information that you still need into two main components: how to find and buy a juicer, followed by the other steps you’ll need to take before you actually start juicing. Finding juicers is easy – you can buy online, or you can go to a brick-and-mortar store. All sorts of websites carry them (I like Amazon.com), and so do shops and stores that focus on providing the things you need for a healthy lifestyle, including a healthy diet. Juicers are even sold at many big-box superstores. So finding juicers is easy. Knowing which juicer to buy can be a bit trickier. What should you look for in your first juicer? Price. Unless you already know you’re in it for the long haul (no matter what), it might be smart not to buy the most expensive juicer on the market. That way you haven’t made a huge investment for nothing if you decide to quit. I also wouldn’t recommend getting the cheapest model you can find. Something in the middle, price-wise, will give you a good combination of features without breaking the bank. If you decide you love juicing and want to keep doing it forever, you can always upgrade your juicer later. Basic style. By that I mean, do you want a true juicer or would you prefer to use a regular blender? Personally, for a variety of reasons I favor using juicers, but I guess if you bought a blender for juicing but decided to give it up you could always use the blender for making smoothies and other things. Type of juicer. Assuming you want a true juicer, you can pick from several types: centrifugal, single gear, twin gear and hydraulic press juice extractors. Each type works differently and has its pluses and minuses. Some do a better job with certain types of produce than others, and some are easier to take apart, clean and reassemble than others. Because it’s important to buy a juicer that meets your needs (if you hate your juicer you’ll probably stop juicing), I’ve reviewed several models here on my site. Hopefully, they’ll help you narrow down your choices for which juicer to buy. As a general rule, hydraulic press juice extractors are the most expensive juicers out there (some run as high as $2,500 and up). Centrifugal juicers are usually the cheapest (some name-brand models are sold online for less than $200). The other types tend to fall in the middle, price-wise. Ease of cleaning. Some juicers are easier to clean than others. Look for a model that’s easy to take apart and put back together. I’d also suggest looking for a juicer with parts that are dishwasher-safe, just to make life a little easier. How to start juicing: only a few more steps! After you’ve bought your juicing equipment, there are still a few things you’ll need to do before you start. Read the instructions. Before you start juicing, read your juicer’s instruction leaflet. You’ve made an investment and you’ll want to know the best ways to use it. And you certainly won’t want to do something that might damage it or be unsafe. Practice taking your equipment apart and putting it back together. You might also want to practice disassembling and re-assembling your juicer before you actually start juicing (a couple of times should let you get the hang of it). This how-to-start-juicing step is important because you’ll need to clean your machine right after you use it, and that requires …. You guessed it …. Taking it apart, washing all the parts, and then re-assembling them. Buy your produce after you’re familiar with your juicer’s operation and know how to clean it. The type of produce to buy depends on several factors: whether you want to juice vegetables or fruits exclusively, or mix the two together (green veggies with a bit of fruit added in make a tasty and nutritious combo); whether you want a juice that’s rich in a broad spectrum of vitamins, minerals and other nutrients, or you’d rather emphasize some specific types; the texture of the produce itself (some juicers handle soft items like wheatgrass well while others don’t); and, of course, flavor. If you can’t stand the flavor of carrot, for instance, there’s no sense in juicing it. Once you decide which type, buy the freshest fruits and vegetables you see, and juice them within a day or two. That way you’ll get the most benefit from the nutrients locked inside. Buy a sealable, airtight jar to store your leftover juice in the fridge. Refrigerating your juice in an airtight container keeps it cold and refreshing. More importantly, though, it also helps it retain its nutrients. Drink it within 24-48 hours of preparing it. Prepare your produce for juicing. Wash your produce thoroughly. Some fruits and veggies will need to be peeled before you start juicing, but others are more nutritious if they’re juiced with the peel left on. Large fruits and veggies will need to be cut into chunks that are small enough to fit into your equipment’s feed chute (some juicers have larger chutes than others). Smaller fruits and veggies might not need to be halved, quartered, or cut into chunks at all. 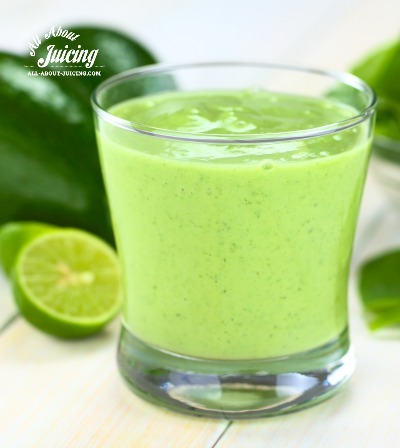 Now you’re past the "how to start juicing" steps, and ready to start juicing with your machine! If you're looking for some help on how to start juicing juice with a juicer, then go here for more info.